It’s been five years since I found myself quitting my high-paying job in Manila, the Philippines, to move to New Zealand. 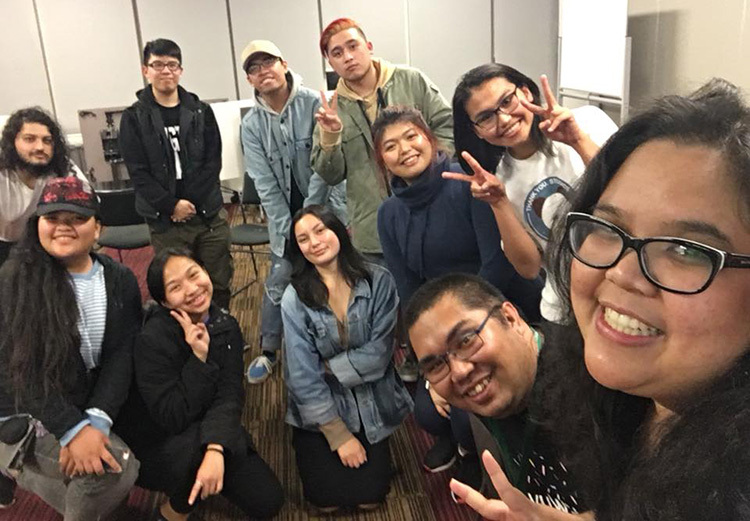 Geo (second from right) and members of Buklod, the Victoria University Filipino Students Association, during Clubs Week 2018. Although my family had already been living in New Zealand for six years, this was still a risky move—I’d established a promising career in Manila’s banking industry and had a budding side gig as a FM radio host. But I was ready to risk it all by travelling to uncharted territory. My main reason? I wasn’t growing as a person. Adjusting to New Zealand life was not easy at first. I didn’t have a network of friends and I found it difficult to land a job. With my savings running thin, I took on some small jobs that kept me going for a few months, but I needed something more. I decided to invest in myself and that’s where Victoria University came in. 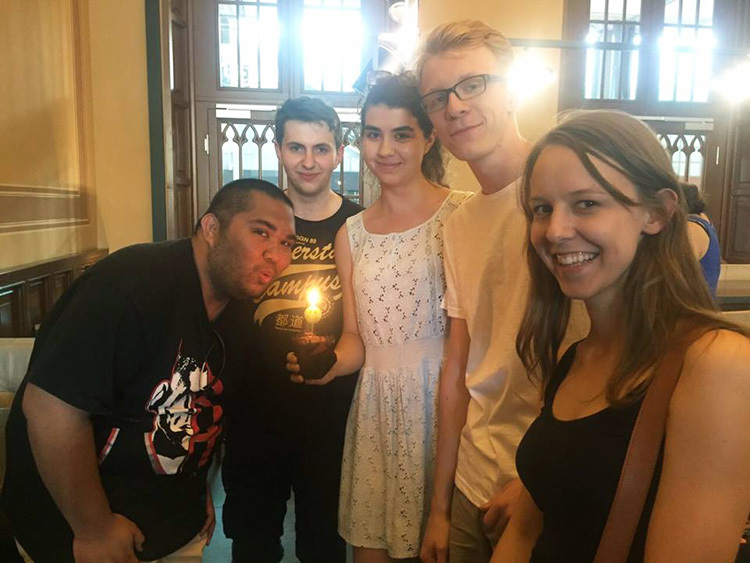 Geo (left) celebrating his 28th birthday with friends during his volunteer exchange trip to Poland through AIESEC. I enrolled in Victoria University’s Postgraduate Diploma in Development Studies in 2014 and, although I didn’t meet the requirements to move on to the Master’s programme, the connections I made were priceless. This time helped me grow as a person and opened doors to new opportunities, including a volunteer exchange trip to Poland through AIESEC. Fast forward to 2016 when, while working for another tertiary institution, I found a rekindled desire to achieve my dream of earning a Law degree. In the Philippines, you need to graduate with a relevant undergraduate degree before being admitted into a graduate law school. I had already obtained a Bachelor’s degree in Statistics and Finance Economics from the University of the Philippines and had gained admission to three of the country’s top law schools. But financing this study proved impossible and I was forced to defer. Jump to the present and I’m back at Victoria University, completing a Bachelor of Laws and Bachelor of Arts, with majors in International Relations and Political Science. Geo (second from right) with members of Buklod at a Filipino Conversation Group event. It can be hard to grow and thrive in a new environment, and I still face some challenges. But it’s all about your mind set. I’ve decided I love a challenge, and I see everything I do at Victoria University as a learning experience. There are a lot of opportunities for someone like me—a mature, migrant student—to be involved and visible on campus. Our University values diversity and it’s a matter of seizing these opportunities at the right time. 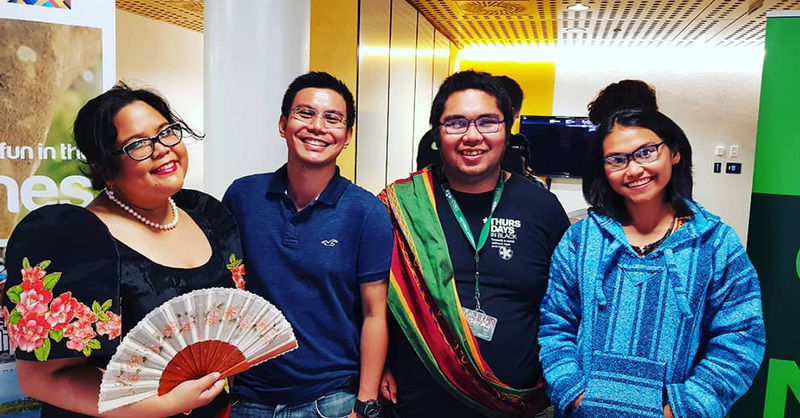 I am currently the Chairperson of Buklod, the Victoria University Filipino Students Association, and Campaigns Officer at Victoria University of Wellington Students’ Association (VUWSA). This all contributes to the story I always want to be telling—that I’m continuing to thrive and grow as a person. Geo Robrigado is a law and arts student. You can follow him on Twitter @DJGeoRob.